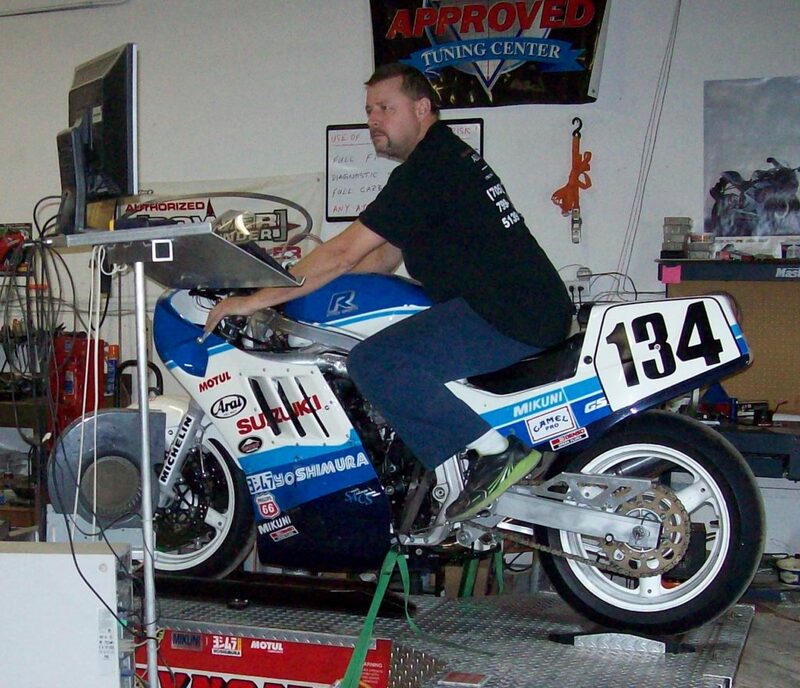 What Exactly is a Motorcycle Dyno and What Can We Learn From It? 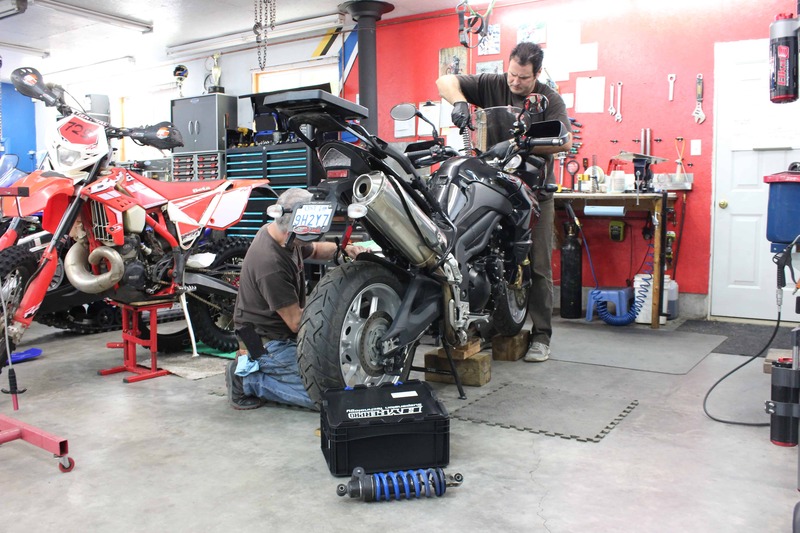 Probably the biggest and most expensive tool in any motorcycle mechanics arsenal has to be the rear wheel dynamometer, or dyno for short. 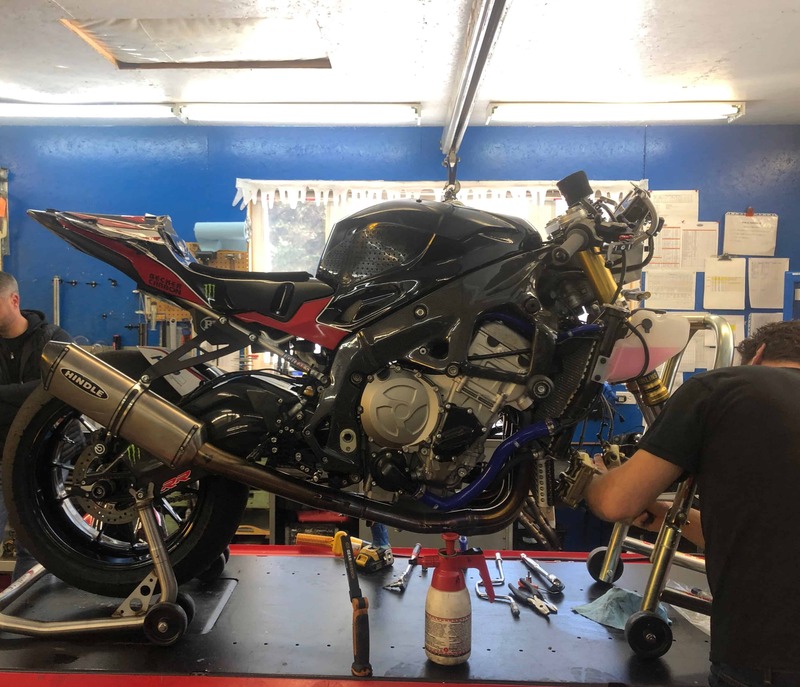 The dyno can be set up in the corner of a motorcycle dealership, thrown on wheels and dragged to local establishments, or fixed into a large trailer complete with it’s own dyno room. These machines have a base about 4 foot wide, 10 foot long and they stand about knee high. The bike rolls up onto the surface locating its front wheel into a locking chock that is adjustable to position the rear wheel on the centre of the steel rotating drum at the back. There is a computer that uses a software program that compares the bikes rpm with the rate of acceleration of the steel drum. The weight of the steel drum is known, so torque can be calculated depending on how quickly the drum is accelerated. The concept is very simple with the magic in the details. Typically a monitor for the computer is suspended in front of the motorcycles operator who sits on the motorcycle during use. A keyboard must be equally handy to enter in the particulars of the bike for the software to manage. When the bike is first rolled up, the operator may engage one or more fans used to keep the radiator cool and position them accordingly. He or she will then strap down the front wheel, and then connect two balancing tie downs usually onto the footpegs or frame to keep the bike stable on the dyno. The operator will then ensure the rear wheel is centred on the drum and move the front chock forward or back if needed. Then, back up onto the bike, the operator goes through the files and picks the bikes make and model, then may create a new folder for the owner of the bike, all the while the bike is idling below him. When all is ready he will pull on some ear protection and select the Make Run icon to prepare for the first dyno ‘run’. This page may confirm temperature and barometric pressure along with prompting you for the shops altitude, as well as request the motorcycles rpm redline and confirm that the rear tire is speed rated for such a high speed. When you press ok, a tach and speedo appear ready for you to do your thing. The dyno has an rpm lead that you can hook to a spark plug wire or other trigger wire on the bike that will read rpm. When this lead is used (it is optional) you can then monitor your horsepower vs. rpm and not just wheel speed, which is very useful when tuning. If peak horsepower is your only concern, you can wheel the bike on the dyno and have this number very quickly. If you want to know at which rpm the peak horsepower occurs, you have to take the time to hook up the rpm lead. Now, you pull in the clutch, engage it into first gear and ease out the clutch, just as if you were riding. You will see the speedo on the computers monitor jump up and show you your first gear idle speed. Most modern bikes now take speed from the transmission output, so your dash should show a similar speed. 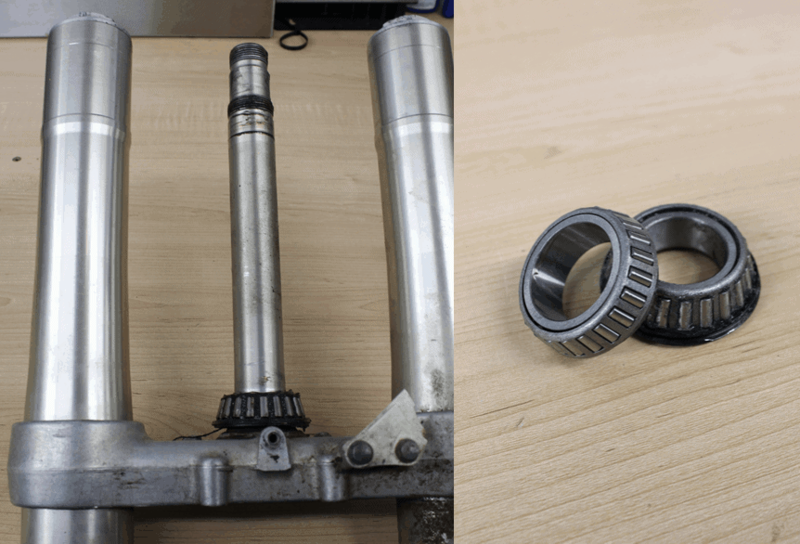 If you have an older bike that uses a cable down to the front wheel, don’t expect to see anything on your bikes dash move except the rpm and water temp. The dyno operator now will accelerate up through the gearbox to 6th and then come back down to fourth gear. This helps to warm up the motor, confirm he is in 4th gear for the run, and allows him to make sure the rpm trigger is reading correctly before starting testing. Now that we are ready for our first run, the operator will hold the bike steady at 3-4000 rpm (depending on the bike, the operator and what we are looking for) press the green button on the pendant and twist the throttle to wide open at the same time. Since the drum is very heavy it may take 8 or more seconds for the bike to reach redline, then hit its rev limiter. At this time the operator will hit the green button again telling the computer to stop recording and let go of the throttle. As the bike coasts back down towards idle, the computer will display the dyno ‘run’ in an x-y graph format in front of you on the monitor, showing horsepower at each rpm interval smoothly blended into a line that will start low, climb up and to the right, then fall quickly after rev limit was encountered. You are now looking at your bikes first ever power curve. It is very important to disregard this first run and do several more runs. The first run is with the engine and combustion chamber quite cold and not very efficient. Each additional run will sound cleaner and the bike will pull harder until it reaches its peak output, then when it becomes too hot, power will fall. You now have an accurate representation of your bikes power. If you hooked up your rpm lead, you can display a torque vs rpm curve as well which may help you when considering any changes. Another invaluable add on accessory to the dyno is the air/fuel monitor. It is usually as simple as a piece of pipe inserted into your exhaust system to analyze your exhaust gases. Among many other things, this device will read out your air fuel ratio and display it on the computer screen against speed or rpm. You can now overlay this data against your horsepower and see where your bike is too rich or too lean, at which rpm and by just how much. Next month we will look at using the dyno to tune with and why Dyno Jet Power Commanders are so popular. Please remember to send me any of your technical questions to johns@insidetrackpublications.com. Thanks and until next month, ride safe!